There is nothing more fun on a gray winter day than to play with paint: bright, colorful, I-am-happy paint. A swish this way and a slosh that way and my mood always feels upbeat. Producing this red abstract painting consumed part of my afternoon and gave me some good energy. Good medicine to forget the gray ugliness of February in the Northwest. Reproductions are available from my website here. 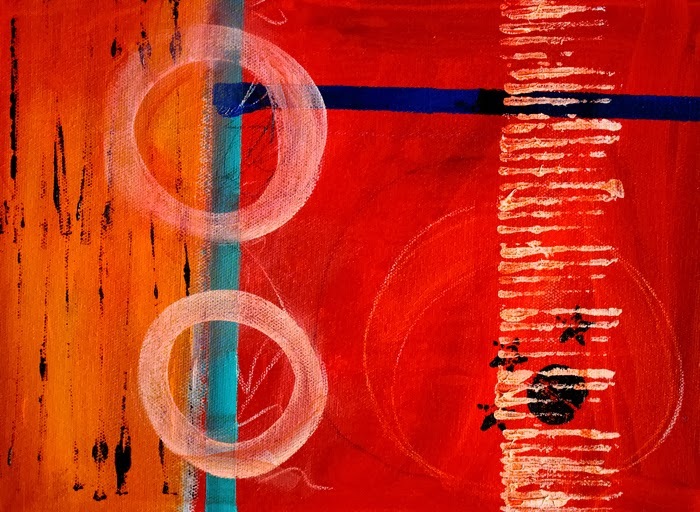 Also some of my circle abstract paintings are available from Fine Art America. This weekend it snowed, so I suppose when I painted this image, it was the ice and snow in the back of my mind that caused it to emerge. The painting is entirely from my imagination. Creating the snowy mountains and the freezing foreground of water was fun. The painting developed over an under painting of red that gives it a nice warm glow. I also imagined a strip of yellow trees on the edge of the lake. The yellow and red were just enough warmth to keep me happy in this freezing winter scene. 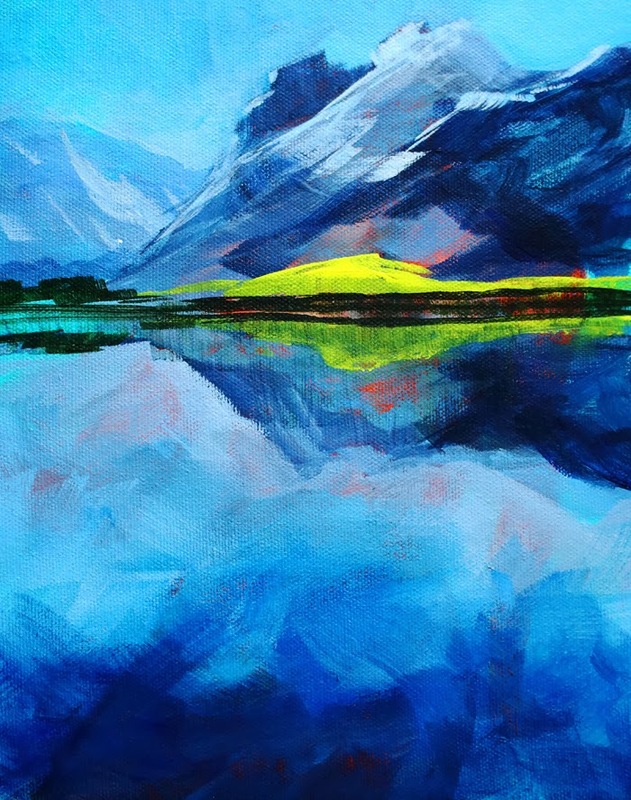 Reproductions of this acrylic landscape painting are available here in a variety of sizes and on a number of different surfaces.